As part of the continued emphasis on DUI Drug cases, the Legislature passed AB2552 which separates DUI alcohol from DUI drugs or combined influence cases effective January 1, 2014. On that date, §23152 and §23153 was effectively amended so that the (a) count will apply to driving while under the influence of alcohol only, the (b) count will remain the same (criminalizing a blood alcohol of 0.08% or above); an (e) count will be added for driving while under the influence of a drug only; and an (f) count will prohibit driving under the combined influence of drugs and alcohol. The Legislature has pending Bills before it to establish per se levels for drug impairment much like other states have done. This creates many problems in the analysis and interpretations of the results. Individuals react differently to active as well as inactive metabolites of various drugs. DUI Drugs is quickly becoming the new darling of prosecutors throughout the country let alone Orange County, California. Drug Recognition experts are now being called to the scene of DUI investigations and accidents whenever there is evidence that prescription medication or illicit drugs may have been used. Prior to the Drug Recognition Expert program being initiated by the National Highway Traffic Safety Administration, it was very difficult to prosecute and prove driving while under the influence of drugs. These cases involve complex scientific issues dealing with the identification of the active ingredients of drugs in both urine and blood testing and whether or not the substance revealed was an active or an inactive metabolite. Proving that a defendant was under the influence of a drug requires proving that the substance involved impaired driving. It’s no defense to the charge that the defendant had a prescription or otherwise legally used an over-the-counter, non-prescription drug (CVC §23630). A prescription is a defense to an added charge of Health and Safety Code §11550 which carries a 90-day minimum jail sentence. Correlating levels of blood to impairment has also been extremely difficult in the past because of the absence of reliable studies linking specific levels of drugs in the blood to impairment. Complicating this difficult task is the phenomenon of tolerance. While tolerance to alcohol has been studied at great length, tolerance to prescription medication is a much more individualized phenomenon. The absence of published medical studies on the subject has caused prosecutors to turn to the opinions of Drug Recognition Experts who are ready to render opinions about impairment. Drug Recognition Experts are not doctors! It is impossible for them to distinguish between an anxiety attack and hyperactivity from a central nervous system stimulant. In addition, these Drug Recognition Experts are always attempting to correlate symptoms with “normal.” Since the officer has had no prior contact with the individual, it is impossible for him to determine what normal would be for any specific individual. The chart below demonstrates the relationship of symptoms observed in a drug recognition exam with seven common drug categories. Prosecutors are also charging drivers with driving while under the influence of drugs even though their drug levels were within therapeutic ranges of their prescriptions. Since there are no per se levels in DUI-Drug cases, impairment in fact must be shown. DUI-Drug cases can be defended successfully by attorneys who are knowledgeable in the deficiencies of the Drug Recognition Examination program, (2) are knowledgeable in the area of challenging drug testing, and (3) are committed to understanding the medical issues which inevitably are associated with prescription medication cases. Hiring a DUI Defense Lawyer with these credentials is important in Orange County, California, because the Orange County District Attorney’s Office has created a specialized unit that focuses on prosecuting those charged with driving under the influence of drugs and those charged with driving under the combined influence of alcohol and drugs. These specially-trained prosecutors can be found in each of the Orange County Courts and all cases must be negotiated with this specialized prosecutor. The National Highway Traffic Safety Administration has published Drug and Human Performance Fact Sheets. Please click on the links below for further information. Because it is often impossible for the State to prove driving impairment based on drugs, it is important to determine the levels of the drugs in the bloodstream at or near the time of driving. This can be done by securing a blood split in order to have the blood retested by an independent laboratory. By doing so, you can more easily determine whether your client’s levels of the drugs in his/her system are at, below, or above therapeutic ranges, and possibly whether your client was impaired at the time of driving. For instance, the chart below references some prescription drugs that are often used as a basis for alleging a violation of CVC § 23152(e) and the levels of the drugs that are considered to be within therapeutic ranges. This information has been provided by National Medical Services (3701 Welsh Road, Post Office Box: 433A, Willow Grove, Pennsylvania 19090-0437) through retest results previously provided on other cases. National Medical Services is well-known laboratory for blood retesting. Depending on whether you know which drugs for which you would like to test, you can also run Drug Screens, such as an Opiate Screen, which will pick-up drugs like Hydrocodone; or a Benzodiazepine Screen, which will pick-up drugs like Xanax or Valium. A Drug Screen will assist you in determining whether any other drugs or their metabolites are present in your client’s blood sample. This will assist you in determining the strength of your defense and it will also keep you in line with how the government laboratories conduct their testing because most government laboratories will run Drug Screens prior to running confirmation tests for specific types of drugs. For instance, it is not uncommon for government laboratories to run Drug Screens for the following characteristics of drugs: (1) Alkaline Drugs; (2) Weakly Acidic and Neutral Drugs; and (3) Benzodiazepines. Thus, because other drugs will sometimes be found in a blood sample that were not initially known to you, a Drug Screen will keep you a step ahead of the process and better prepare you for any surprises the government may find in your client’s blood sample. Please also keep in mind that experience has taught many of us who practice in DUI Drugs that the government laboratories rarely turn over the quantitative results and instead only provide you with proof that the prescription drugs were present in the system (qualitative results). 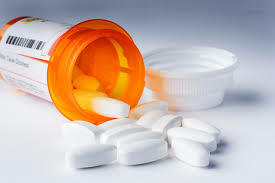 The fact that it is not per se illegal to consume prescription drugs, the presence of them is of little value to the prosecution without proof that the individual’s levels of the drugs rise to a level indicating impairment. Thus, it would be wise to conduct your own testing rather than relying on the government’s test readings, especially since most government laboratories will not differentiate between “free” and “bound” levels and only report the “total” levels of the drugs. This is not a fair playing field; thus it is suggested that you have the blood retested in order to ascertain whether the prosecution can in fact prove up impairment. Proposition 64 legalized the adult use of recreational marijuana in California on November 9th 2016. The Law Enforcement community and the District Attorneys Offices throughout the State having been planning and training in preparation for targeted enforcement of DUI Marijuana cases. New technologies are being developed to provide law enforcement with preliminary screening tests of saliva for THC in roadside enforcement. Unlike other States, California has not set a per se level for marijuana and driving and as a result, we are seeing prosecutions at extremely low levels including levels below 5ng./ml which Colorado and Washington have set. There are numerous recent studies which have established a correlation between levels of THC and BAC. The most compelling study was done in a driving simulator at Iowa University pursuant to a grant from NHSTA and NIH. The results established that 13.1 ng of THC produced impairment that was equivalent to a blood alcohol level of 0.08% and that a THC level of 8.2 ng equals 0.05% BAC. See, Hartman et. al. Cannabis effects on driving lateral control with and without alcohol. (2015) Drug and Alcohol Dependence. It’s often impossible for the state to prove driving impairment based upon drugs. This is especially true where the charges are based solely upon drug use, with no evidence that alcohol was involved. As you might expect, some of the state’s most hated drugs are the ones that cause them the most trouble when it comes to proving impairment. Marijuana, cocaine, and methamphetamine, when not coupled with alcohol, can all improve the physical ability to drive. For instance, one study by the California Highway Patrol failed to find any general correlation between marijuana use and driving ability, except that some people drive better stoned. [(Biasotti, A.A., Bloand, P., Mallory, C., Peck, R., and Reeve, V.C., Marijuana and Alcohol: A Driver Performance Study, A Final Report (Sacramento, CA: Cal. Dept. of Justice, 9/86); and Bates, Michael N., and Blakely, Tony A., “Role of Cannabis in Motor Vehicle Crashes,” Epidemiological Review, 1999, vol. 21,—No evidence that cannabis alone increases the risk of culpability for traffic crash fatalities or serious injuries. It is difficult to establish a relationship between a person’s THC blood or plasma concentration and performance impairing effects; how- ever, impairment is typically found in persons who have consumed Marijuana within three-to-six hours of a blood draw. Concentrations of the drug and its metabolites vary depending on the pattern of use as well as the dose. This is important because chronic users can have mean plasma levels of 45 ng/ml of the active metabolite (11-Hydroxy THC) up to 12-hours after use. NHTSA concedes that it is inadvisable to try to predict the effects of marijuana based on blood THC concentrations alone, and that it is currently impossible to predict specific effects based on 11 Hydroxy THC concentrations. Delta-9 THC is the active ingredient of marijuana. Most of the psychoactive effects of cannabis are believed to come from the Delta-9 THC ingredient. The usual peak levels in serum for 1.75% or 3.55% THC marijuana cigarettes is 50 to 270 ng/ml at 6-to9 minutes after begin- ning smoking, decreasing to less than 5 ng/ml within 2 hours. Passive inhalation is up to 2 ng/ml in most cases. Delta-9 Carboxy THC is the inactive metabolite of marijuana. Usual peak levels in serum for 1.75% or 3.55% THC marijuana cigarettes: 10-to-101 ng/ml about 32-to-240 minutes after beginning smoking, with a slow decline. Delta-9 Carboxy is typically not detectable through passive inhalation. 11-Hydroxy THC is the active metabolite of mar- ijuana. Usual peak levels are less than 10% of THC levels after beginning smoking. IMPORTANT: In cases where the active ingredient of Marijuana (Delta-9 THC) is not detected in blood samples, nor is the active metabolite (11-Hydroxy THC) detected, and only the inactive metabolite, Delta-9-Carboxy, is detected, a reasonable inference arises that the person had consumed Marijuana between 12-and-24-hours prior to having his or her blood drawn. The relation between driving impairment following marijuana smoking and plasma concentrations of THC and THC-COOH is discussed. It appears not possible to conclude anything about a driver’s impairment on the basis of his / her plasma concentrations of THC and THC-COOH determined in a single sample. Abstract: This report concerns the effects of marijuana smoking on actual driving performance. It presents the results of one pilot and three actual driving studies. The pilot study’s major purpose was to establish the THC dose current marijuana users smoke to achieve their desired “high”. From these results it was decided that the maximum THC dose for subsequent driving studies would be 300 mcg / kg (0.3 mg / kg). The first driving study was conducted on a closed section of a primary highway. After smoking marijuana delivering THC doses of 0, 100, 200, and 300 mcg / kg, subjects drove a car while maintaining a constant speed and lateral position. This study was replicated with a new group of subjects, but now in the presence of other traffic. In addition, a car following test was executed. The third driving study compared the effects of a modest dose of THC (100 mcg / kg) and alcohol )BAC of 0.04 g %) on city driving performance. This program of research has shown that marijuana, when taken alone, produces a moderate degree of driving impairment which is related to the consumed THC dose. The impairment manifests itself mainly in the ability to maintain a steady lateral position on the road, but its magnitude is not exceptional in comparison with changes produced by many medicinal drugs and alcohol. Drivers under the influence of marijuana retain insight in their performance and will compensate where they can, for example, by slowing down or increasing effort. As a consequence, THC’s adverse effects on driving performance appear relatively small.